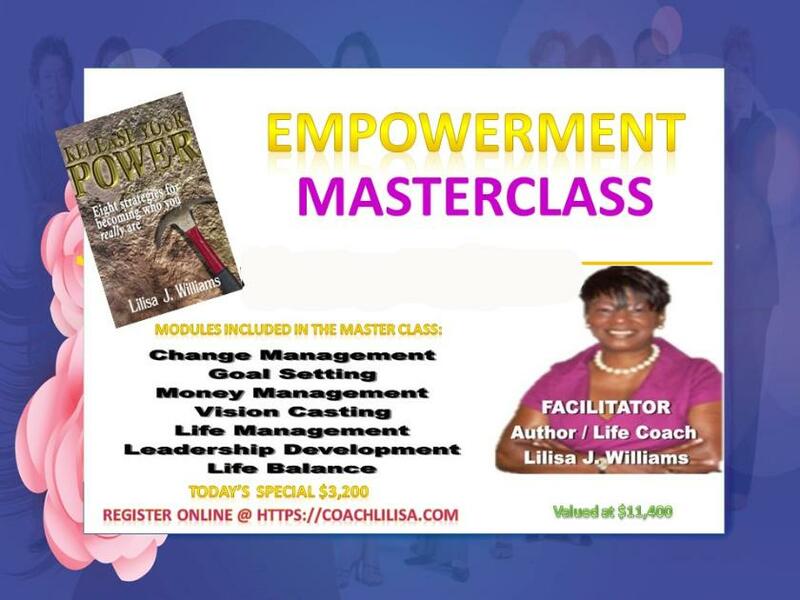 The Empowerment Masterclass grants you the opportunity to work privately with Coach Lilisa to assess, evaluate and design a life that will give you the empowerment you need to achieve your goals and accomplish your life's purpose without reservation and hesitation. This MasterClass will walk you through step by step in the planning of your personal and professional successes. We will deal with your career, business, relationship, and family values. The best part is that we work around your schedule. Don't put off your dream life any longer; take time and invest in your most valuable asset, your happiness! I'm excited for you and ready to talk to you now! Click the link below and let's get started. This is the MasterClass of Empowerment for those who want to go to their Next Level!